As many of you may know, I complain, quite frequently, about a great many things. It is only through great force of will that I manage to distill this tirade to a discussion only of travel-related topics, which represent merely the tip of my angry iceberg. One of the most irritating nuisances I’ve mentioned is the world’s ridiculous lack of travel jeans, the selection of which is inexplicably tiny, despite how much room there is for improvement. So I was happy to hear about a relatively new entry in this category, described by quite a few people as the most comfortable pants they’ve ever worn (and well worth the initially terrifying $200 price tag), and who refuse to wear anything else for weeks at a time, until snooty social norms finally suggest they do otherwise. They’re the Outlier Slim Dungarees, a 21st-century take on old-fashioned denim. Though not intended as an identical replacement for a pair of jeans, they’re a high-tech alternative that’ll handle a lot more than a typical pair of Levi’s ever could. The first thing you might notice is that for a pair of pants so allegedly high-tech, they look…so…normal. Try to find silly extraneous zippers. Go ahead, try! Clothing like this was literally nonexistent several years ago. The outdoor industry still refuses to make anything that doesn’t look ridiculous, and the casual clothing industry doesn’t know what rain is. It’s all just a huge nuisance. Outlier is one of several relatively new companies that have embraced the radical notion that you can take high-tech materials and just…make them look normal. Quite easily, in fact. And then you can wear them in situations besides just mountain rescue operations. There’s a lot going on here worth mentioning, and today’s lecture will include each and every detail. Lovers of brevity should escape while they still have the chance. The Slim Dungarees are made of a double-weave soft-shell fabric, which is a fancy way of saying they’re tough and weather-resistant on the outside, but have a soft, brushed interior for next-to-skin comfort. They’re strong, breathable, quick-drying, rain resistant, stain resistant, wrinkle resistant, with just enough stretch to move with you, while still feeling fairly substantial. Basically, it’s exactly what pants should be, and a perfect example of why cotton is stupid. It gets better. While many synthetic fabrics suffer from absorbency issues (synthetic materials like nylon and polyester can’t actually absorb moisture), soft shell fabrics became wildly popular in the outdoor industry in large part due to their breathability. The unevenly-textured surface means the fabric is in contact with more air molecules, letting surface moisture escape faster than it would from a smoother fabric. The interior does the same thing, but in this case it’s also accomplishing something else; the increased surface area of the interior fabric actually means less surface area will come into contact with your skin, so even if you’re sweating, you won’t feel as much of it. The slightly thicker fabric also provides a little three-dimensional loft, which allows moisture to move away from your skin. It’s not a “thick” fabric by any means, but it’s noticeably loftier than the vast majority of hiking pants, which are usually paper-thin. It’s also more reassuring than those super-light fabrics, as most guys prefer to feel…ahem…armored below the belt. They’re also only somewhat stretchy, providing just enough give to move with you, without feeling like you’re wearing a pair of pajamas. It’s easy to overdo stretchiness, particularly with thinner fabrics, but that’s not a problem here. Minor update: Outlier makes other pants called the New OGs, and the Climbers, both of which use a slightly lighter, thinner fabric, which includes 4-way stretch, rather than the 2-way stretch of the Dungarees. After getting a chance to try both, I prefer the 4-way stretch, since it stretches along the vertical, meaning that when you kneel down to tie your shoes, for example, the fabric will stretch vertically along the seat and knees, rather than pulling back. 2-way stretch is good, but 4-way stretch is great. The textured surface also does a good job mimicking the feel of more natural materials, which is yet another reason why people end up wearing these for weeks at a time. They’ll say it’s the stretchiness they love so much, but I think the pleasant sensation of the soft, textured fabric is of equal significance. All of this adds up to the Slim Dungarees being far more comfortable than you’d expect from a synthetic fabric, which is why people love them so much. They’re soft, strong, substantial, stretchy, and highly breathable, which makes for quite a comfy combination. And we haven’t even gotten to the performance advantages yet. Soft shell fabrics were invented for mountaineering, meaning they’re a lot tougher than any denim you can find, including all that fancy raw selvage denim that people seem to get so excited about nowadays. Soft shell fabrics are tough enough to take rock climbing, and the Slim Dungarees’ inseam gusset strengthens the point that would usually be the first to fail, meaning these’ll last a lot longer than just about any pair of ordinary jeans you can find. Weather resistance is another major advantage here. If you live somewhere rainy, you probably already know how stupid it is that cotton is the world’s most ubiquitous fabric, and have long yearned for a solution. Soft shell fabrics can handle the rain a lot better than cotton; most raindrops will bounce right off, and the few areas that get saturated will dry quickly once you get where you’re going. They’re not waterproof, but they’re about as much as you need for walking or biking through rain for 20 minutes at a time. Those droplets, by the way, are just resting on the surface. If you take a few steps, they’ll just fall right off. Oh, and I lied. I poured two liters of water over the Dungarees. I wanted to get a better photo, but they had shed all those droplets by the time I put them back on. Water resistance means stain resistance as well. You can spill coffee on them, and it’ll just run right off. And since it’s a synthetic fabric, it’s nearly impossible to stain, even if the coffee manages to sink deep down. The speedy drying time isn’t just helpful for drying out after a rainstorm; it’s also quite useful for hand-washing and hang-drying your clothes, which, if you travel frequently, seems to happen quite often. So, for a lot of reasons, you’ll be wondering why humanity has been using ordinary cotton for so long. The reason is stupidity. As the name implies, the fit is slim, but with the stretchy fabric, I only notice how slim they are when I walk past my own reflection, as there’s nothing restrictive about them (though I will reiterate that the 4-way stretch of other options, such as New OGs, feels even better to me). The inseam gusset helps, too. I can see why people wear these continuously for weeks. They feel just a bit roomier in the hips, fitting just a bit low on the waist, in a low-slung jeans sort of way. Not so low that I’d recommend getting a different size, as they feel nice and relaxed, but enough that I’d recommend wearing a belt if you’re planning on bouldering with them. If they’re hanging too low, they’ll pull back on wide steps. And I love jeans-style pockets. They are the Alcatraz of coin containment. I generally refuse to wear anything else. I’d give bonus points for secret hidden zippered pockets, but that’s something of a specialized feature for backpackers traveling through pickpocket-filled countries, which other people probably won’t need. Jeans-style back pockets also mean no dangling pocket flaps on the inside. Notice how there are two belt loops in back, on either side of the center seam? Compare that to a single belt loop placed directly over the seam, creating a pressure point of several fabric layers that can press uncomfortably into your spine, and is totally stupid. Two belt loops in back is the correct answer. Ugh, non-metric. I feel dirty. You also might notice they have something called a “reverse yoke,” which allegedly fits better, but it’s subtle enough that I can’t seem to tell either way. In other words, you’ll spend less time rearranging your undies. 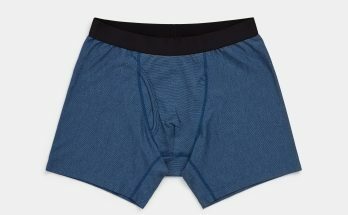 I still enjoy snugly-fitting, silky-smooth underwear to reduce this issue to nothingness, but the pocket linings will reduce the friction that pulls underwear all over the place, which will be helpful if all you’ve got are cotton boxers. It’s worth paying attention to these little details, as they’re the sorts of things you might not notice at first, but might eventually become annoying if they’re done wrong. Especially when it’s so easy to do them right. Obviously you can see what these look like already, but I would like to point out just how annoyingly rare these sorts of things have been. Because soft shell fabrics were invented for the outdoor industry, they were only ever used in outdoorsy clothing, with a million zippers and reflective panels and giant logos and racing stripes and whatever, which is so annoying. The REI Mistral next to the Outlier Slim Dungarees. One’s good enough to wear to a fancy restaurant. Guess which one! I’ve always felt it was stupid that we had to make the choice between function and fashion, because there’s simply no reason we can’t do both. Suitable options like this one have been springing up in the last several years, which is a welcome change of pace from the dark ages when high-tech clothing always looked ridiculous. Rejoice, my friends and loved ones! Rejoice! These are warm. Not hot, but warm. Slightly (but noticeably) warmer than a standard pair of jeans. Because the fabric is just a bit thicker than certain alternatives, and has a brushed interior surface that feels like it’s providing just a teensy bit of insulation, these’ll keep you a little cozier than just a regular pair of pants. They’re also available mainly in dark colors, with a slim fit and a fairly long inseam, meaning they’ll rapidly absorb sunshine warmth, and they won’t allow for as much air circulation as would a pair of relaxed-fit pants with loose ankles. Imagine walking uphill in direct sunlight, for example. They’ll heat up quick. I wouldn’t necessarily call this a reason to avoid them, but it’s certainly worth taking into consideration if you’re about to spend $200 on them. I would simply recommend wearing them on cool days, rather than warm ones, and especially if you’re planning on exerting yourself. But I also have ridiculous problems with overheating, as my Slavic blood runs like a 19th-century steam furnace burning its fuel at maximum capacity at all hours of the day and night. So if you’re always cold, this’ll just be an added bonus. At $200 each, you’ll be wondering if they’re worth the price of admission, so I think it’s important to evaluate the specific situations where these’ll outshine cheaper alternatives. If all you want is a super-comfy pair of jeans, you could easily choose from any of the spandex-infused options the world has to offer (the Prana Axiom is a good one), and you’d probably be happy. It’s really the durability and weather resistance that are the more significant distinguishing factors, and which will allow you to use these in situations where ordinary jeans would be atrociously problematic. Rainy weather, hiking, climbing, and lightweight travel, for example. The long-term durability of soft shell fabrics also means they’ll outlast denim several times over, so if you’re tired of replacing worn-out jeans one after another at maybe $50 each, these are for you. They’ll very likely make back their initial investment by eliminating the need for constant replacement, and they’ll be super comfy and weather-resistant the whole time. They also just look really damn good. As I’ve ranted before, stylishness isn’t just for show. It’s functionally superior as well. Instead of buying separate outfits for every activity, you can just get gear that’ll handle everything, whether it’s biking to work in the rain, looking great in a board meeting, looking even better at happy hour, and handling a rock wall without getting a scratch. Versatility itself is a performance advantage. I would say that the more you expect to make use of their high-tech features (especially abrasion and weather resistance), the more the initial price will pay off as a long-term investment. They’d be great for just about anyone, but especially great for people who are constantly tearing apart their clothes, braving the elements, or who simply enjoy the benefits of high-tech clothing, but are tired of looking absolutely ridiculous. If that sounds like you, you’ll wonder how you ever did without them. If that all sounds good, get them here. A few alternatives exist that might be worth a look; I’ve compiled all the soft shells I can find that use jeans-style pockets, and listed them here. They’re all good; most use a lighter, stretchier fabric than the Slim Dungarees, so you might prefer them if you want to do yoga or something similarly acrobatic. I’ve also listed soft shell pants (with regular slash pockets) here, which would be nice for dressy occasions. Well, that should just about do it. 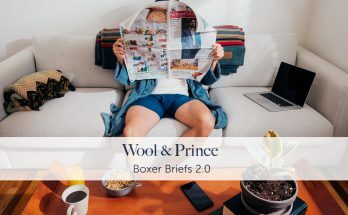 I figured if you’re thinking of spending $200 on a pair of pants, you’d want to know exactly what you’re getting, so I wanted to articulate every detail I can possibly find. But, in summation, I’m wearing them right now, and they feel great. I’m sure you’ll enjoy them too. Yes, that’s a good point. A lot of these companies were started by men, to fix problems they had with men’s clothing, so of course they concentrated on men’s clothing. The Dungarees, however, are available for the ladies as well, known as the Slimmer Dungarees. They might actually be even better for women, because women’s clothing is usually skintight, making stretchy fabrics even more useful. So would you say that these would be good for my SE Asia trip from January to April that is starting in Aus and NZ but includes Indonesia, Singapore, Thailand, Cambodia, and Japan? I’m worried about the heat that time of year in some of those countries but also want to bring just a single pair of pants for rainy situations and also for the classy situation (Singapore). Price really isn’t an issue, I’m just worried that these might be too warm for a SE Asian summer? Thoughts? I wouldn’t wear them in anything above room temperature, especially if you have to walk around in the sun, which you’ll probably do all the time if you’re sightseeing at all. I definitely wouldn’t take them into the heat or humidity of Southeast Asia, except maybe in the middle of winter, but it sounds like this trip will go beyond that. I’d recommend taking a look at some of their lighter options (the New OGs) or the Prana Brion, which is nice and thin. Both of those are still pretty stylish. Thanks. I looked at the Prana Brion and I like the design of the Bluffworks travel pants better. Plus Bluffworks have the added feature of hidden pockets and a loop on the inside of the front pocket. Your review of them was awesome. I guess the main difference is that the Prana pants are 97% nylon and 3% spandex whereas Bluffworks is 100% polyester. Both are considerably less expensive than Outlier. Yes, I like the set of features on the Bluffworks better (though I do enjoy the Prana Brion’s jeans-style front pockets), but after that, the main difference is just the stretchiness. Just make sure to get the right fit with the Bluffworks, as they use a non-stretch fabric with a somewhat slim cut. I’ve got a pair of the Outlier SDs and can attest to their awesomeness. The fabric is just great- I wish all my clothes had this level of functionality. I guess if I could afford it, I’d buy a lot more of their stuff. :) I’ve traveled with the SD as my only pant for a week across country and they performed admirably. They are the most comfortable pants I own- and I have some TAD gear pants that are exceptional. Yeah, it might be just me. I can’t wear them in anything above room temperature if I plan on walking quickly in the sun. Heat is my arch nemesis. Does anyone have the Outlier SD and Mission Workshop Division? How does it compare? I’m torn between these two. They both have the same NanoSphere treatment. This is not a DWR coating, it’s much more sophisticated and permanent treatment to the fabric, and will not lose it’s a ability to repel water after multiple washes. The SD does not stretch 4-way like the Division. The SD cut is slimmer, yet a loser fit than the Division. I wear a 30″ waist, the SD is a bit lose on me, and the Division is a snug fit. It depends on your body. Trying them out is really the best. I prefer the gusseted crotch on the SD, it provides more freedom of movement. I also prefer the classic look of the SD with less pockets. I’ve had my SD for about three years, and I love them! I wear them instead of jeans. I don’t own any denim jeans after buying my Outlier SD. I wash them every week, and they show little wear. The SD are my go-to traveling pants. You can’t go wrong with either pants. I love Mission Workshop products. I tried out the Division, for the cost, I decided to save up for other products. I’m biased, I would give Outlier the nod for producing clean, classic, traditional clothing that can be worn casually, or polished enough for work wear. I’ve been searching for the ideal pair of travel/adventure pants that hold up in a variety of conditions. So far I’ve come across two seemingly great alternatives to the ones mentioned here and thought I would share. The first is patagonias new hemp overstone pants that have similar features with a hemp/polyester blend. The second is made by makers and riders and uses polartech neoshell technology to make the ideal pair of pants for breathability and dryness while still resembling jeans. Yup, those are mentioned here and there in some capacity, on the hemp jeans page, and cycling clothing discussion. They look pretty good. The fabric is different, but it should do the same sort of thing. 2-way stretch, abrasion and weather resistance, quick-drying performance, and so on. The gear I got from Outerboro has been great, though I haven’t tried this one in particular. The hidden and semi-hidden zippered pockets would be quite useful. I’d like to try the Outlier dungarees but they only come with a factory inseam of 34″ and I don’t want to spend $198 plus tax to do an experiment on whether a tailor can hem them to look good. It looks like they would be hard to hem properly, maybe I’m wrong. One great thing about Bluff Works is they have waist sizing in 1″ increments and inseams in 2″ increments so many guys will be able to buy pants that fit without alterations. I’m up to 4 pairs of Bluff Works now and wear them regularly to work with an open collar button down shirt. They feel great and while I find they do need a quick pass with the iron after washing they don’t wrinkle when worn. I don’t think there would be any trouble hemming the Dungarees. The fabric is soft and easy to work with, so any tailor should be able to handle them. Also, the 34″ inseam will shrink maybe an inch if you throw it in the dryer. The waistband shrinks a bit too, but if you wear it for a little while it’ll stretch back out (pretty much all pants do this), whereas the length doesn’t really have much pulling on it to make it revert back to its original length (although throwing it in the washer but not the dryer tends to prevent shrinkage, and sometimes re-expand things). I ordinarily wear 32″ inseams, and this 34″ work fine on me. Every once in a while if I’m walking around barefoot it’ll feel like I’m almost going to step on them, but I never quite do it. I think this means I should really be a 33″ inseam…but of course that’s pretty hard to find. Just curious—have you worn out the DWR on these or any similar pants? Wondering if they remain as stain- and moisture-resistant once that starts to wear away. My experience with softshell pants and jackets is that the DWR goes pretty quickly in high wear areas (shoulders/back on jackets, knees/seat on pants) and then they wet out. Try throwing it in the washer and dryer. 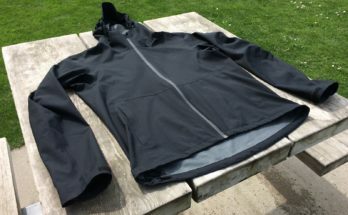 Rain jackets and other DWR-coated materials might seem to lose their DWR, but somehow it’s still there, and throwing it in the dryer will “reactivate” it. I had wet spots on an old rain jacket and did that, and now it’s brand new again. I expect the DWR on the pants is pretty similar. I use the dryer every time, so it works nicely. Great review on these pants, I did a google search for slim hiking pants and came across the slim dungarees. Then I checked out some reviews and yours came up on top, great review. I usually take a couple pairs of jeans on travel trips, but they tend to get smelly fast and of course they dont wick moisture, etc. Im taking a trip to South Africa in June (it will be their winter), we will be spending time in the Cape Town and on Safari too. I’ve heard it can be quite chilly in the morning and evenings on safari, so was thinking these jeans would be a good choice among other times too. I’m always cold, so just wondering about what you said that these get hot. If it warms up in the day, will I be hot? But how do they handle the heat, different than normal jeans right? I try to wear them on cloudy days; anything above room temperature can be a problem if I’m expecting to be outside in the sun, walking uphill, and so on. If you’re just hanging out, it’s no problem, but if you’re walking a lot, your legs are producing a lot of body heat. I’d say you’ll feel…I don’t know, maybe 2 degrees warmer than jeans? It’s fairly subtle, but enough that I notice. Some people are fine wearing jeans in the summer, so just know these will feel just a bit warmer.